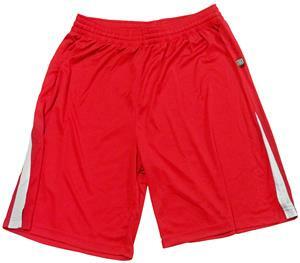 D1 Adult Youth Competitor Soccer Shorts - Closeout. Lightweight Performance Intelock. Waistband with internal drawcord. Moisture management, anti-microbial. Top Selling Item. WAIST 29-32" 32-34" 34-36" 36-44" 42-46" 46-48" 48-52"
WAIST 22-23" 23-24" 25-26" 26-27" 28-29"
Due to the nature of closeout items - Please note: *There may be a color shift between same sizes/colors in your order. *Possible surface or fabric imperfections *Measurements are approximate and may vary slightly within the same size/color group. Great fit. A pair of shorts that you can wear around the gym Lifting weights or playing basketball. I highly recommend. Perfect match with D1 Adult Youth Competitor Jersey! Nice looking shorts!